Today we’re bringing you a beautiful short story by Victoria Lawlor, a new contributor here on Happy Magazine. This is the first time we’ve brought you some fiction for your cancer journey… We hope that wherever you may be reading this today, that you enjoy it and have a great day. Alice looked out of the window. 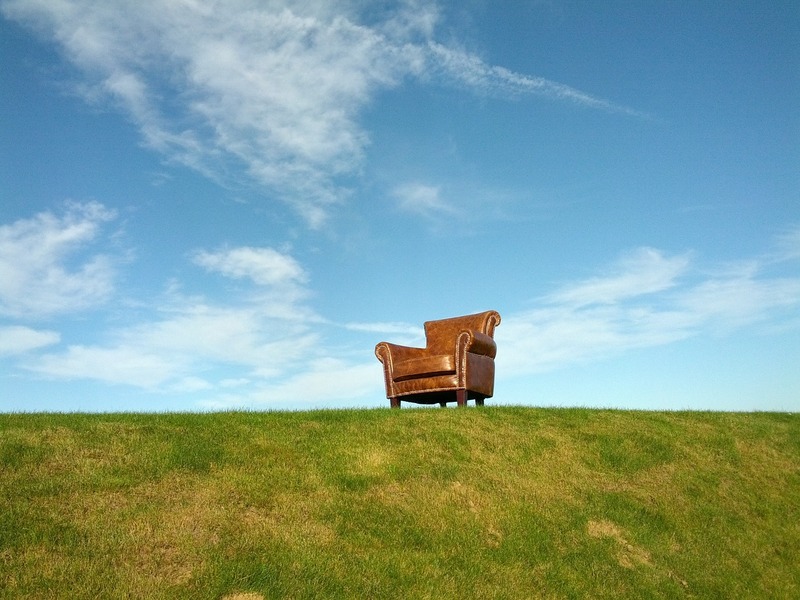 She had been guided over to the only free chair left in the room, a chair with a view. It was still warm, she wondered who had sat there before her. Outside was distracting, she loved autumn, her favourite season of the year. She watched the trees, rustling in the breeze as people moved around her on autopilot. Leaves danced outside, orange, brown, and red. The colour of life, the colour of change. The chair was comfy, she was grateful for that. Big, plush, and a deep brown leather colour. It had stitching visible on it, part of the design was held together with chunky cream thread. It was the kind of chair that you sat on in furniture showroom, but would never actually buy. Too big for a typical front room, too unpractical. It was the type of chair you needed the right surroundings for. Somewhere to show it off. Alice looked around the room. She was certainly in a big enough space now for the chair but she wasn’t sure it looked homely there at all. Still it was hers now. She was glad to get this seat. There were lots of different types of chairs in the room, all mismatched. Some austere, straight-backed and practical. Some plastic, cold and hardwearing and then some leather ones, which looked more comfortable. Well, she supposed, they had to make it as inviting as they could. She felt the dark worn leather sag beneath her frame and sank into the depth of its support. She was surprised to feel it mould around her body. She had lost some weight lately and didn’t think she’d even leave an indent in the chair. It was as if the chair was holding her tight and giving her a hug when she needed it the most. Alice ran her fingertips over the cream thread which bound the leather together. She wondered how many people had sat in this chair before her. Had the chair helped them also? Did it offer them the same reprise? She knew of course it could not, a chair was just a chair after all. An inanimate object devoid of any magical powers. But, as her eyes began to get heavy with sleep and boredom she closed them momentarily. Forgetting where she was and why she was there. For a brief moment she was back at home, in her mother’s lap. She felt her mother’s arms wrapped around her offering her comfort and security. A tear formed in her eye. She wished her mother could be with her now. The rest of the room was quiet. There were others there too. Some alone, some with company, but they all had a look about them that said they had been here before. Some had brought books or had headphones tucked deep within their ears. One was completing a Sudoko puzzle. A couple in the corner whispered quietly. It appeared there would be no light conversation here, this was serious business. All the energy in the room was directed towards the treatment itself. Alice closed her eyes again. She visualised her cancer disappearing. Bit by bit, being knocked and swept away like the leaves on the trees outside. Rotting and turning to dust to be replaced by something better. Something healthy, something new. She relaxed into the chair and let the medicine do its work. Previous Post Our first big milestone!